Embrace veganism and keep the whole household happy and well-fed - without making a different meal for everyone. Not a fan of tofu? Fear not - this vegan cookbook is packed with over 100 healthy, delicious recipes that will appeal to adults and children alike, using grains, pulses, and other meat- and dairy-free alternatives as the base ingredient. You'll find options for every meal of the day, whether you're looking for quick lunch box ideas for vegan kids or preparing a big dinner for the whole family. "The good stuff" box on each recipe gives an expert breakdown of nutritional value, so everyone is getting the nourishment they need. An additional "flex it" section on many recipes gives busy cooks an option to easily add meat or dairy to their meal, perfect for pleasing non-vegan members of the household or families wanting to go "flexitarian". 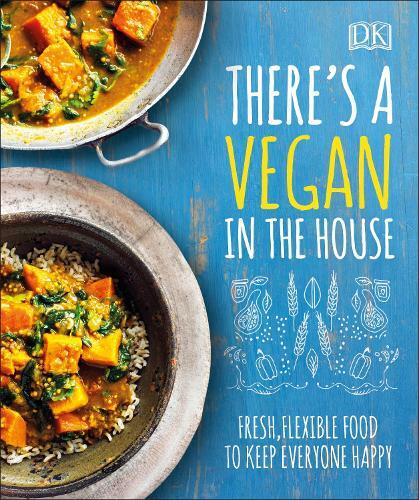 This is everyday food for everyone, with nutritionally balanced vegan meals and flexible options - There's a Vegan in the House is the essential cookbook for any household venturing into veganism. All you would need to know to cater for the vegan in your life. The cover entices you to jump straight in.